So, we had another lovely dust storm today. I managed to get a couple of pics of the dust in the air today, so without further ado, here they are. This is all dust, no clouds or other obstructions. 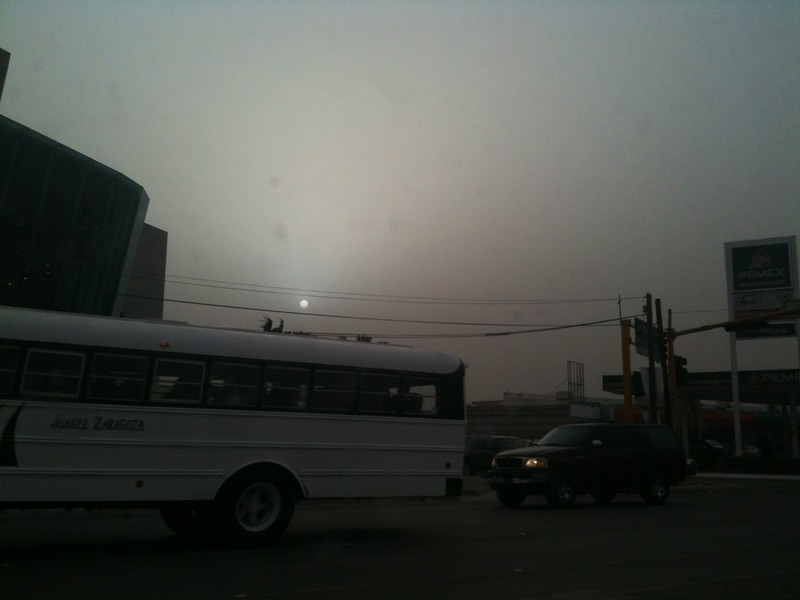 That’s the sun, obstructed by all of the dust. 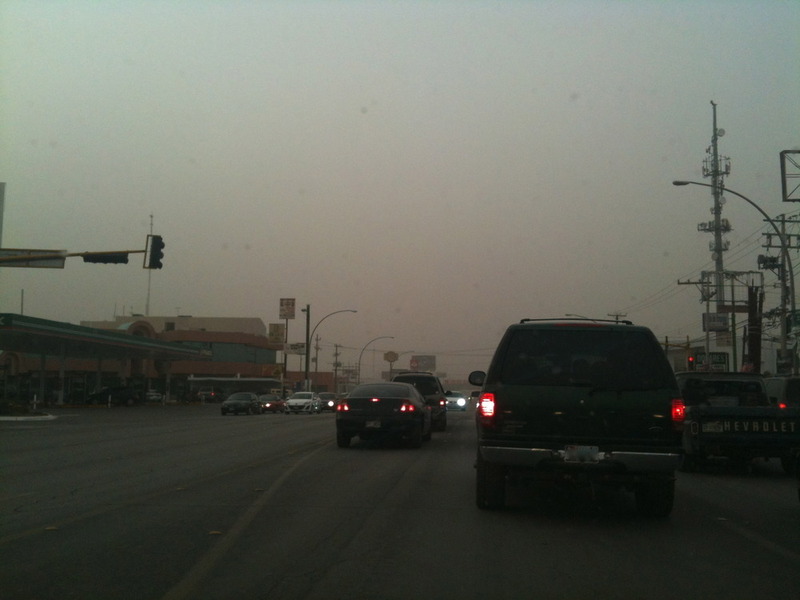 Normally, you can see the mountains in El Paso while driving down this street. Today, not so much. It’s that lovely time of year in the CDJ/ELP area when the winds mix with the sand and we have crazy dust storms. The severity can vary, but they generally cause the sky to turn brownish and they affect visibility significantly. 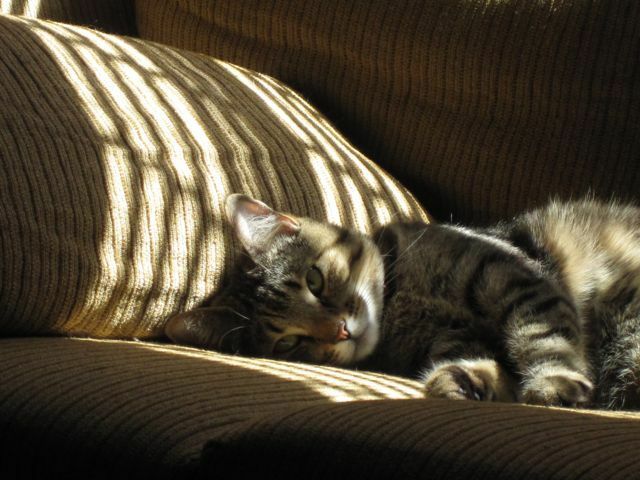 Dust also seeps in all of the windows and doors no matter how well they’re secured. Tuesday, the dust storm completely hid the mountains that are usually clearly visible from the consulate. These storms can last until mid-May, depending on the year. So, that’s the fun news from CDJ.